EyeWatch Vehicle CCTV 4G and WiFi Live Download viewer levels are based on 3 options and can be varied to suit your particular infrastructure and budget. Uniquely tailored to your specific business requirements, our quality installations by our dedicated and professional teams ensure that you get the images that you need to see! 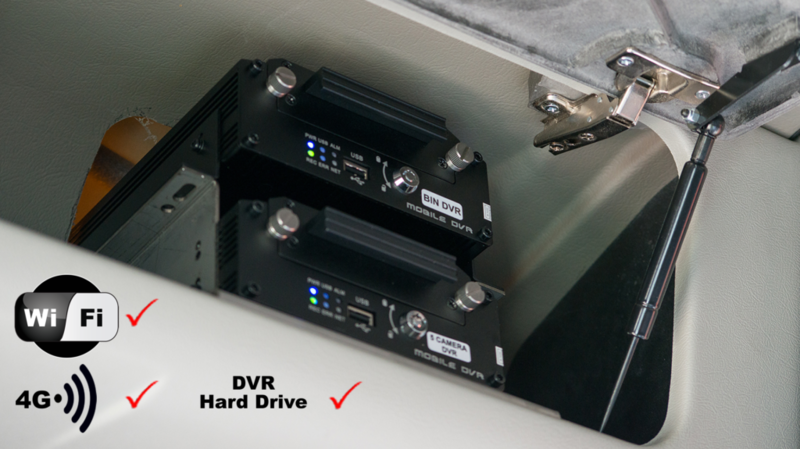 Where the DVR unit has not just a Hard Drive and 4G connection but WiFi capability offering the option of video download when they return to base through your local area network.